ALTERPLAN launches Phase 3 project with DIB: "Promoting disaster risk-sensitive shelter planning in selected Philippine cities and towns"
Following the completion of the second phase project of ALTERPLAN and DIB in nine barangays in Legazpi City, the third phase project "Promoting disaster risk-sensitive shelter planning in selected Philippine cities and towns” was launched in Cebu City, March 2015. 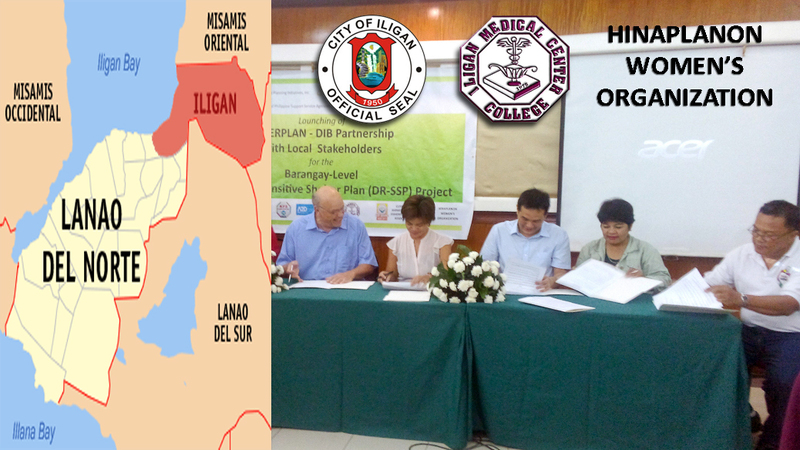 The project brings the planning process developed in the two previous phases to selected coastal barangays in the Municipality of Ubay, Ligao City, Iligan City, and General Santos City. These areas were greatly affected by recent tropical storms and are at high-risk for future calamities. 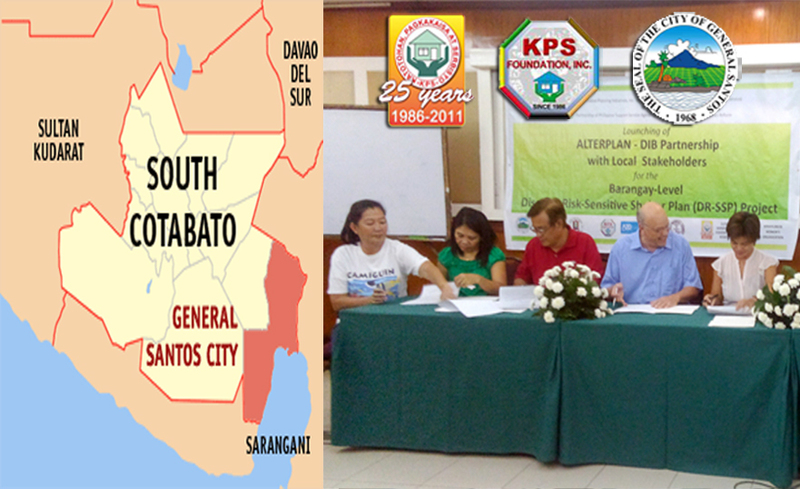 Partnering with ALTERPLAN and DIB are people’s organizations, non-governmental organizations, and local government units from the selected areas, namely: A2D Project, Cuya Farmers & Fisherfolks Associateion (CUFFA), and the LGU of the municipality of Ubay, Bohol; KPS Foundation, Inc. and the LGU of General Santos City; Hinaplanon Women’s Organization, Iligan Medical Center College, and the LGU of lligan City, and; the Ligao City Urban Poor Federation, Inc., Diocese of Legazpi Social Action Center, and the LGU of Ligao City. With the project currently underway, the participating organizations and communities have already concluded the preparatory activities and training, and are scheduled to convene on July 16-17 to present the data gathered and initial plans created. 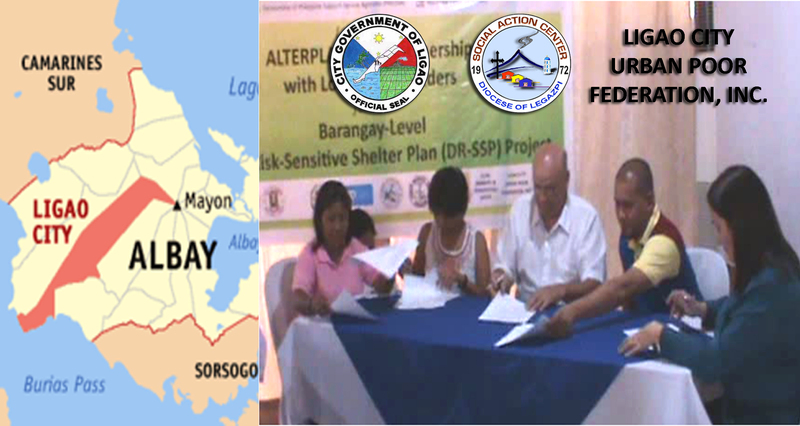 In partnership with Dansk International Bosætningsservice (DIB), ALTERPLAN is implementing the project “Enabling CSO participation in shelter program formulation to address flooding risk in Legazpi City.” This project is the second phase of ALTERPLAN’s partnership with DIB to enhance participation in local development planning in Legazpi City, especially in the urban coastal barangays. As in the first phase, the partnership is supported by the Project Fund of Denmark. The project also involves COPE Foundation, the local government unit (LGU) of Legazpi City, the LGUs of Barangays 23 (Imperial Court), 24 (Rizal), 27 (Victory Village South), 28 (Victory Village North), 29 (Sabang), 30 (Pigcale), 31 (Baybay), 33 (Penaranda), and 37 (Bitano), the Legazpi Slumdwellers Federation Inc. (LCSFI) and the federation’s affiliates in the above listed barangays. 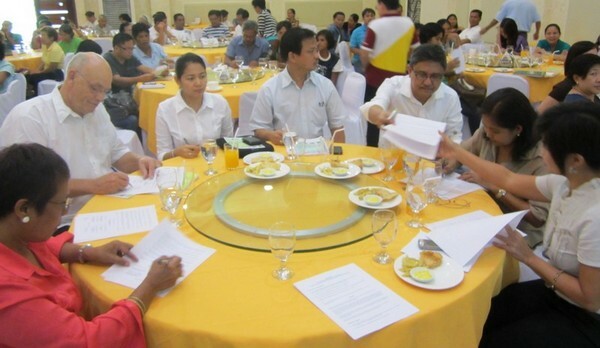 All of these government and non-government organizations signed their respective Memorandum of Understanding with ALTERPLAN and DIB last January 20 at the La Piazza Hotel in Legazpi City. Leaders of LCSFI’s barangay organizations, as well as elected officials in the nine barangays are currently participating in the project’s capacity building program to collect and analyse data on geo-physical hazards, land classification, and socio-economic aspects affecting informal settler families in the project’s study area. The data analysis is programmed to lead to popularly generated barangay shelter programs and plans. PHILSSA intensified its work in social housing budget advocacy by undertaking research and entering into partnerships with national government agencies. With ALTERPLAN as the lead NGO for its budget advocacy work, PHILSSA implemented the second phase of the National Budget Monitoring Project with INCITEGov and USAID, focusing on the National Housing Authority’s programs and corresponding budgets and output. PHILSSA and ALTERPLAN also implemented Research on Pro-Poor Expenditures in Housing for the Budget Transparency Forum of the World Bank. The latter study compared expenditures and delivery of housing services by the national agencies (National Housing Authority and Social Housing Finance Corporation) and by local governments in Quezon City, Legazpi City, Mandaue City, and Davao City. Other PHILSSA NGO members who collaborated in the researches were the Foundation for the Development of the Urban Poor, COPE Foundation, FORGE, San Lorenzo Ruiz Socio-economic Development Foundation, and Muntinlupa Development Foundation. People’s organization (PO) partners of the PHILSSA NGO members also participated in the research. As part of its initiatives in budget advocacy, the PHILSSA network also signed on for another Budget Partnership Agreement with the National Housing Authority (NHA) in March 2012. For the second year, PHILSSA cooperated with NHA in organizing regional consultations to provide feedback on the government corporation’s annual budget and programs. Through this partnership, PHILSSA members seek to influence the allocation and utilization of NHA’s programs and budget to be more responsive to the lowest-income and informal-sector urban settlers. 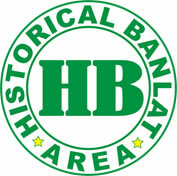 The Historical Banlat Area (HBA) Action Office conducted a Consultation-Workshop on its Area Development Plan on March 19 to 20, 2012. In attendance were barangay chairpersons, councilors and people’s organization representatives from the 11 composite barangays of HBA, as well as department heads and officers of the Quezon City local government. 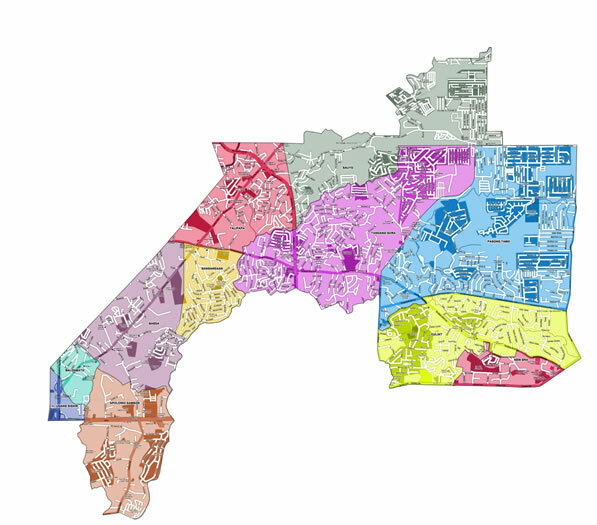 HBA is a district formation of Quezon City, created by Office Order No. 91 of the City Mayor, to facilitate the delivery of services to the barangays of Apolonio Samson, Baesa, Balonbato, Culiat, New Era, Pasong Tamo, Sangandaan, Sauyo, Talipapa, Tandang Sora and Unang Sigaw. One of the tasks of the Action Office, headed by Atty. Kit Belmonte and Mr. Donny Matias, is to prepare an Area Development Plan, including budget estimates for development activities in the 11 barangays. Arch. Sarah Redoblado assisted the Action Office and coordinated with the City Planning and Development Office in preparing the source materials and facilitating the Consultation-Workshop. During the Consultation-Workshop, the local government executives proposed strategic priorities, including social services, growth area development, sustainable housing, and heritage tourism. PHILSSA recently approved a small grant for an ALTERPLAN research called “Examining Affordable Housing as a Social Enterprise for CSOs Using Value Chain Concepts.” The research aims to contribute to PHILSSA’s modelling of sustainable partnerships for housing delivery through an analysis of the activities that result in the production of affordable medium-rise housing units in the Philippines. The research looks at the experiences of selected government, non-profit and private-sector organizations in developing medium-rise housing projects. A brief presentation of significant points from the research was given at the PHILSSA Housing Forum on April 17, 2012. The final paper will be submitted in mid-2012. ALTERPLAN is on its second three-year term as a member of the City Development Council. ALTERPLAN is one of four Professional Sector Representatives in the CDC, which is made up of the chairpersons of all 142 barangays in Quezon City, the District Representatives, and 50 Sectoral Representatives elected by the city-accredited NGOs and people’s organizations among themselves. The 2011-2013 CDC has so far adopted the draft of the City Land Use Plan (CLUP) and a ranking of priority projects for the Local Development Investment Program (LDIP). A technical service organization for housing and settlements development by self-help and non-profit groups. ALTERPLAN was incorporated in 1990 by a group of young architects/planners whose vision was a just and democratic Philippines with an environment that is nurturing of its citizens. The group realized in the course of its work with people’s organizations and NGOs in different regions that the role of architects and planners was not so much to design and build structures, but to work towards conditions in the natural and the built environment that are supportive of people’s aspirations. ALTERPLAN has a small core staff headed by its Executive Director. To implement its multi-faceted programs, ALTERPLAN maintains working relations with experts and specialists who are regularly tapped for particular project tasks and areas of competence such as training, curriculum development, settlement design, cooperative development, community mobilization, and financial planning and management. ALTERPLAN is a non-stock, non-profit, non-governmental organization that undertakes projects, programs and research concerning space and the built environment as integral components or focal points for community development. As a technical service organization, Alterplan works in partnership with community-based organizations and other non-profit organizations in building their capacities to analyze, implement, plan and steer area-based development. ALTERPLAN works with organizations to upgrade housing provision and neighborhood amenities, examine resettlement areas, and plan for attaining land tenure. Through networking with other NGOs, community associations and LGUs, and with extensive past experience, ALTERPLAN is able to operate in various regions of the country. ALTERPLAN's services generally fall under capacity building for community associations, cooperatives, NGOs and local governments. By providing services designed to respond to the capacities of its partner organizations, ALTERPLAN contributes to these groups' understanding of spatial development and its role in community and individual development. OIKOCREDIT, one of the world’s largest private funding sources for the microfinance sector, approved in March 2011 a loan of PHP 7.5 Million to San Francisco Government Employees Multi-purpose Cooperative (SAFRAGEMC) in Agusan del Sur. The loan is being used to finance the development of the second phase of SAFRAGEMC Village, the cooperative’s housing project for members. 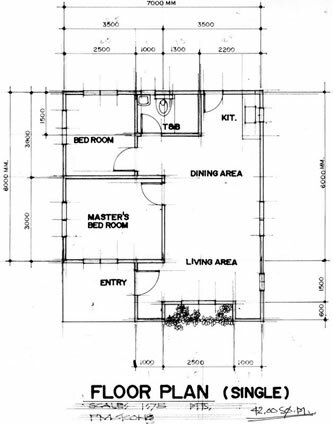 The second phase will produce 70 house-and-lot units. SAFRAGEMC had also received a loan of PHP 5.6 Million in 2003 from OIKOCREDIT for the housing project’s first phase of 100 serviced lots. This loan has been fully repaid by the cooperative. ALTERPLAN provided assistance to the cooperative in project planning and packaging of the successful financing applications to OIKOCREDIT for the first and second phases of the housing project.